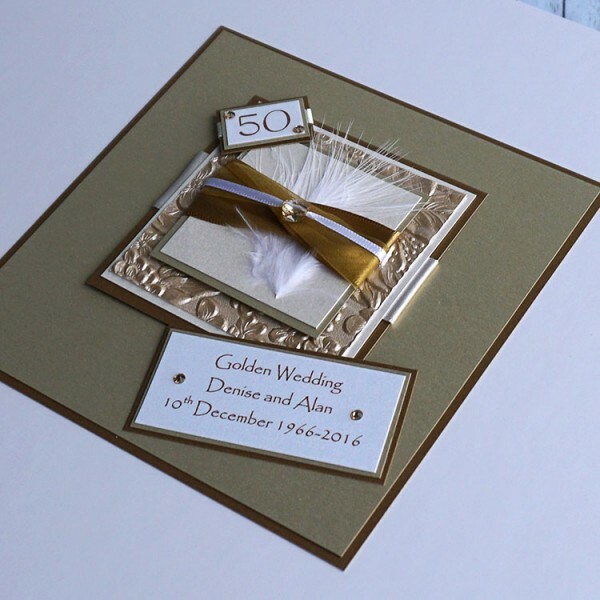 A gift for a couple on their golden 50th wedding anniversary. 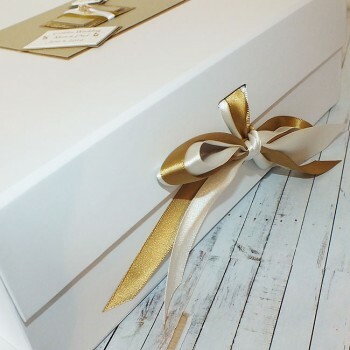 Beautiful satin ribbons are tied to close the boxes. 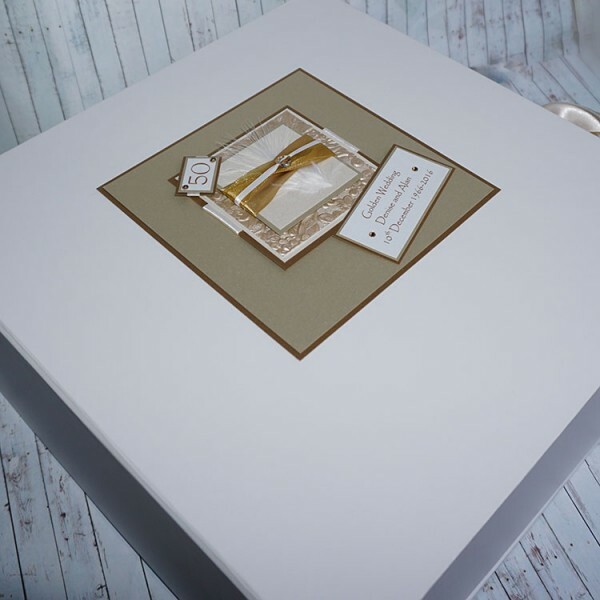 Personalised keepsake boxes are available to match any of the greetings card designs shown in our card gallery. 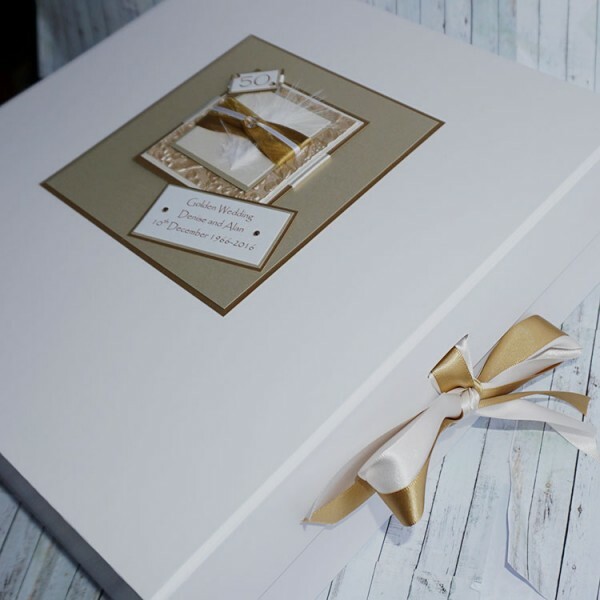 The example shown in a keepsake box that was made for a Golden Wedding Anniversary, but they can be made for any wedding anniversary, such as Silver Wedding Anniversary, Pearl Wedding Anniversary or Ruby Wedding Celebrations.